The overall CPU usage has dropped significantly. Huge thanks goes to amazing community at BlinkStick Forums for reporting this issue. 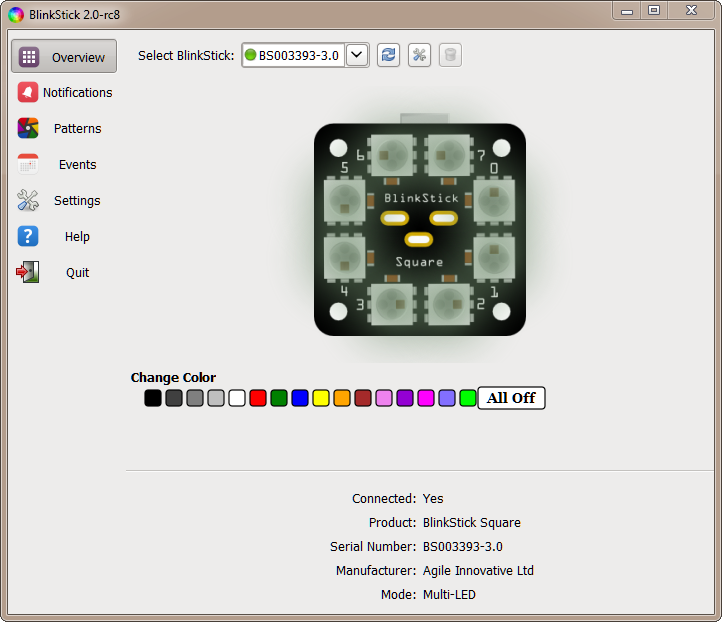 Download the new release BlinkStickClient-Setup-2.0-rc8-x86.exe. BlinkStick Forums is the best place to get support and ask questions. This entry was posted in Uncategorized by arvydas. Bookmark the permalink.